Happy Birthday ...hope you enjoyed the meal. 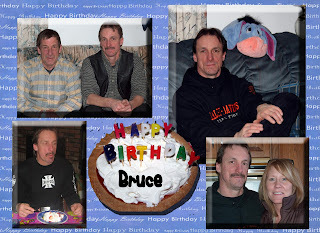 HAPPY BIRTHDAY BRUCE - long time, no see. You don't look like you have aged at all. PS - didja save us a piece of that cake?? ?